Description: Someday I want to live in a place where I never hear "You're Dusty's sister?" ever again. My Thoughts: Dylan finds herself swept off the Scotland for her sister's destination wedding. 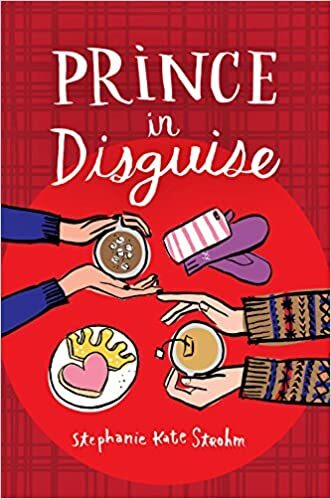 Her sister Dusty won Scottish laird Ronan's hand on the Prince in Disguise, a reality show, and now they will be filming all that leads up to the wedding. Nothing could make camera-shy Dylan less happy. Of course being left at the train station by the best man and rescued by cute Jamie gives her adventure quite a start. Dylan and Jamie become good friends as they both try to avoid the cameras. Dylan was a great character. She loves her sister and mother as much as she hates being part of a reality TV show. She really doesn't want her budding romance with Jamie to become a plot thread on the program but she is willing if it will distract the producer from Dusty's secret. The story is filled with great characters from the over-the-top best man to the evil future mother-in-law to Dusty who can turn on and turn off Southern Belle at will to Jamie who is a geeky, gawky hero with a secret of his own. I liked Dylan's relationship with her absentee father who shows up to walk Dusty down the aisle. I thought it was realistic that she had no interest in forming a relationship with a man who walked away from his family before she even knew him. This was by turns funny and touching and romantic. I recommend it to fans of romance and reality TV. "And I willna drop it. I'm a very delicate touch. Hands of a baby angel. 'S what all the girls say." "No offense, but I can't imagine anything I'd like to touch me less than the hands of a baby angel." I shuddered. "Not even a giant squid?" Jamie asked. "Hands of a baby angel is creepier. Why is the angel a baby? Why is it touching me? Am I dead? If the giant squid is touching me, I'd assume it was by accident. Like, I swam into its space."